As I stood in the middle of the empty street, the sky became increasingly grey and the wind had much more of a chill than expected. 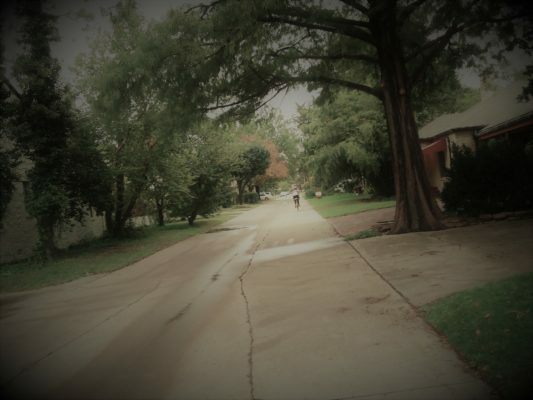 It had been about twenty years since I was last at Carey Place—or as we called it back then, Scarey Place—but the eerily quiet neighborhood was still a somber place out of time in Oklahoma City. Back in the late 90s, I got my first reporting gig writing for Christopher Sharpe’s Okay Magazine. With the motto of “The Oklahoma Cultural Survival Guide,” it was a well-meaning cross between a free alt-weekly and a well-to-do ‘zine; it seemingly lasted about as long too. But, within those scant couple of issues, we covered so much of Oklahoma City’s outré culture that it gave us a loyal fanbase that followed many of us and our works for years on end. It was for our first “Horror-ific Halloween Issue” that I bravely volunteered to write a screed about Carey Place, the much-mythologized Gatewood sub-neighborhood that was the supposed home to numerous murders and unholy cold-cases, with apparently plenty of specters and phantasms roaming about, all looking for some form of vengeance. I was a mostly brave kid, about 19 or 20, and had generally no fear about walking up randomly and cold-knocking on doors, brazenly asking residents about the supernatural spooks that apparently ran amok in their houses and streets. Even though a few told me to rightfully take a hike, most were surprisingly accommodating and happily eager to tell me about what they heard and especially what they’ve seen while living there. I got stories about “bolts of fabric” that floated across the room to the shadows of a dead little girl that swung on the playground of Gatewood Elementary. There was the tale of the red-painted driveway where blood would forever heinously pool and the buried children that came out late at night to mourn their long-since deaths. It seemed as though each person I talked to had their own haunting version of events, usually ending with an uneasy chuckle and a scoff at the spirits. I got to admit that after pulling a couple of all-night stakeouts, sitting in my Delta ‘88 with a cup of coffee and waiting until the early hours of the morning to see a young boy carrying his own head, I was ready to scoff as well, disappointed that I never saw anything particularly weird or out of the ordinary. But, still, when I went back there recently, that wholly uneasy feeling—an intangible form of Death itself—felt like it was looming forever over my shoulder, being my lone futile company as I walked slowly through the street, searching and scouring for the same demonic castoffs that had previously eluded me and, even worse, obviously been forgotten by the children over the years. The street was mostly still as I remembered it, with only a few small changes—a new bush here, an old tree stump there—but the gloominess was very omnipresent. 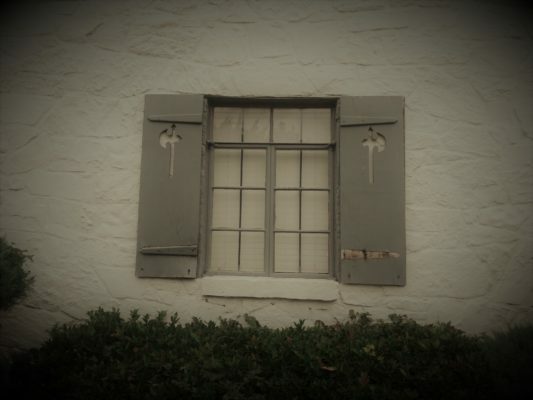 The infamous house with the axes on the widow shutters, where supposedly a man went crazy and hacked his family to bits, shocked me that those coveted artifacts were still so prominently there. As I was looking for the house with the forever-there bullet-hole in the window, a scrawny guy bolted out between some houses on a bicycle, scaring the living Hell out of me. If it were a ghoul with a hatchet it would have most definitely slayed me, I nervously laughed to myself. While much of the street still may be there, it seems as though the cadaverous legends of Carey Place is a mostly gone collection of twice-told tales about to be forgotten; kids no longer swap tales of beheaded girls or cheating spouses buried under two tons of concrete anymore. Those stories we whispered to each other, daring one another to ding-dong ditch the spookiest house of the block, have all seemed to mercilessly wither away with our generation. When the stories finally die, I wonder if the ghosts die to? For me, however, I’ll always remember standing in the very middle of Carey Place two cool decades ago, a mini-tape recorder in my trembling hand, desperately trying to catch some form of otherworldly evil for my Okay Magazine deadline. 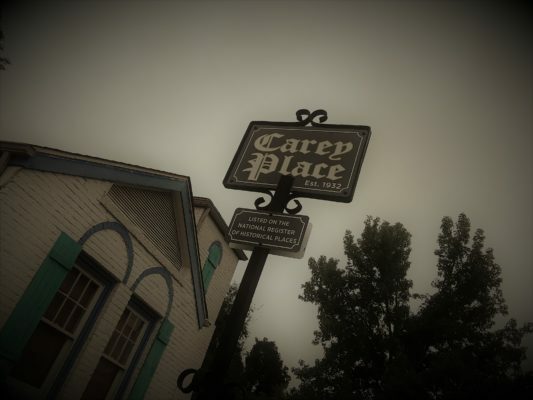 But to a whole generation who grew up around or went to school near there, Carey Place will always be Scarey Place, even if now the only true ghosts are the smiling apparitions swaying from a tree as an October breeze blows through. One of the coolest neighborhoods in OKC. Would love to have a home there. Any truth to the murder stories? I’ve heard them for years. based upon most research the story as told is urban legend, not saying there never was a murder, but doesn’t appear ever a situation similar to the story. Cool house, cool shutters and used to be the coolest place ever to go on Halloween until the huge crowds brought it down. Nobody wants to talk about the Gatewood Strangler? Stories started in the early 1990’s, so far no one has found any evidence of any such murder at the house or even in the area. Link below to one of the many sites that debunk “urban Legends”. 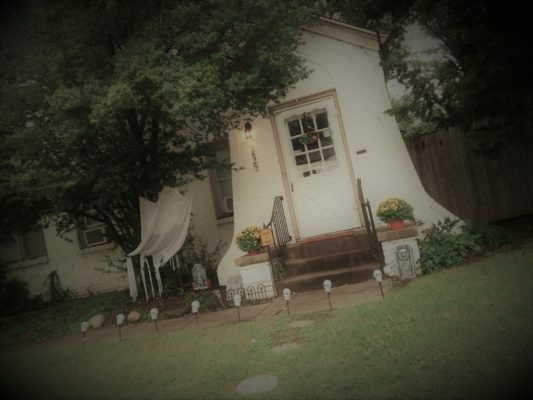 I actually was part of a group who got to investigate paranormal activity at the house about 15 years ago, no unique findings or events occurred during the 3+ hours. Again a cool story, really cool house/shutters/neighborhood, but not a real event.